Cheap eats in LA are aplenty and open late—cure your insomnia at these wee-hour eateries that cater to the broke, hungry and sleepless. Forget everything you've heard about LA's early bedtime. When your favorite watering holes eject you at 2am, you'll need somewhere to go for an edible nightcap. Whether you're a night owl looking for a second wind, or you're just broke and in need of some grub, this list of late night cheap eats will keep you satiated 'til sunrise. 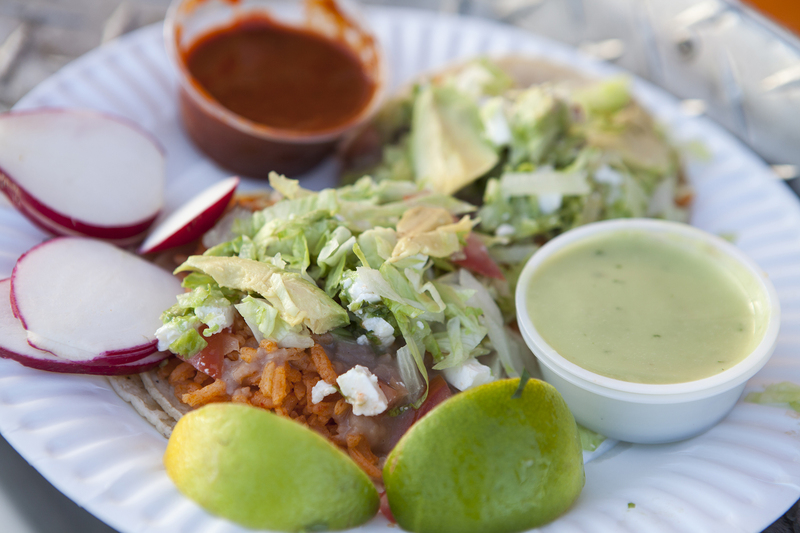 Some of the cheapest, tastiest and most masterful tacos come from a pair of hardworking brothers, who serve ravenous Mid-City slickers from their gleaming orange truck. 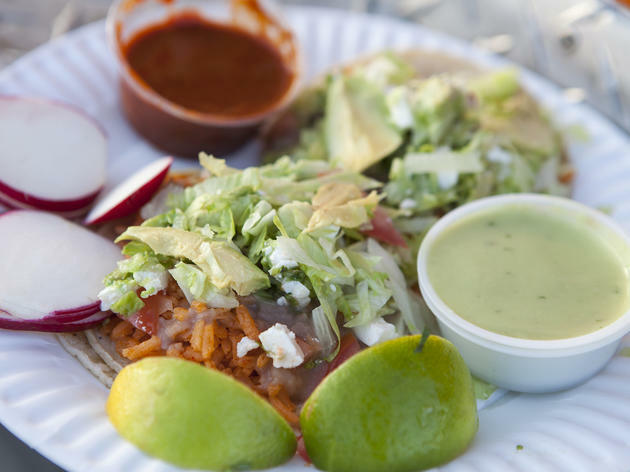 At just $1 apiece, Leo's tacos are packed with flavorful, freshly shaved meat, plus tangy toppings and sauces, piled expertly onto each tortilla. Their stir-fried onion-pepper-meat alambres are mouthwatering and also worth a try. 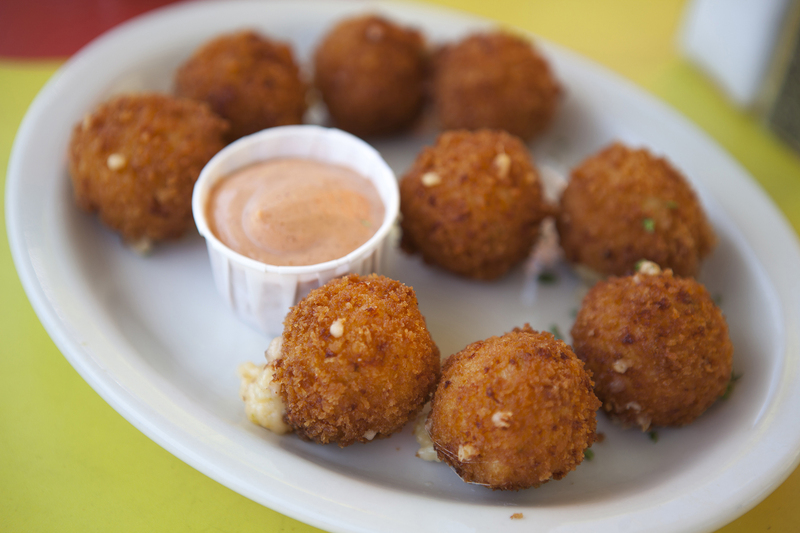 And since the truck stays open til 3am (4am Friday and Saturday), you’ll have plenty of time to come back for seconds. 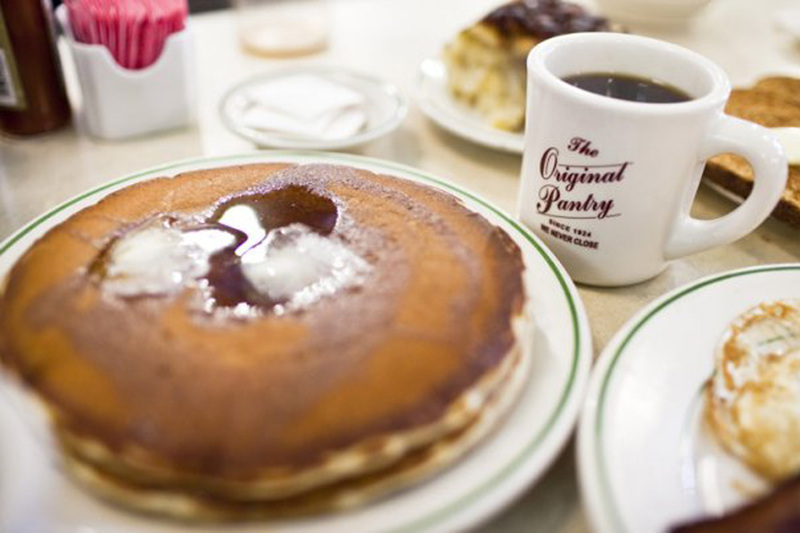 This quintessential LA diner has served up classic American fare since 1924. Literally, straight through, 24 hours a day, since 1924. The likes of Marilyn Monroe and Dr. Martin Luther King Jr. have dined at this iconic greasy spoon, proudly reflected in the shop’s throwback spirit. 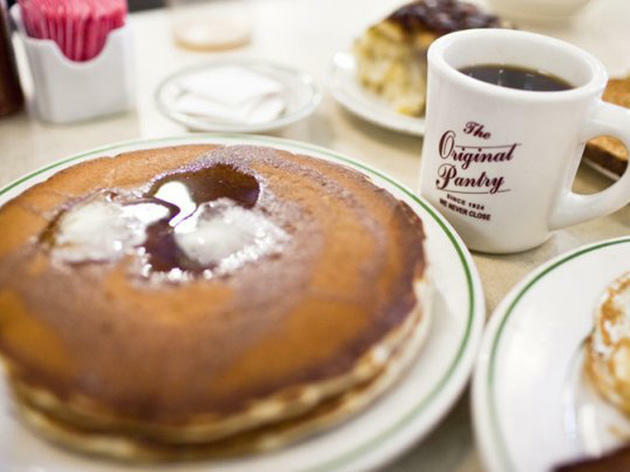 Since their initial one-room, 15-stool space, the Original Pantry Café has grown to become an official Los Angeles Historic-Cultural Monument and a staple of late night dining in LA. While navigating their expansive menu of satisfying (albeit stodgy) blue plates, don’t pass up the celebrated coleslaw ($3.60 for a pint). Or, if you’re looking to get your breakfast fix, order up a plate of their popular sourdough French toast, a meal-deal at $5.65. Get a rare taste of the city that never sleeps in the city of angels at this no-nonsense, old school, "Yo, Tony, can I get a slice" pizzeria. 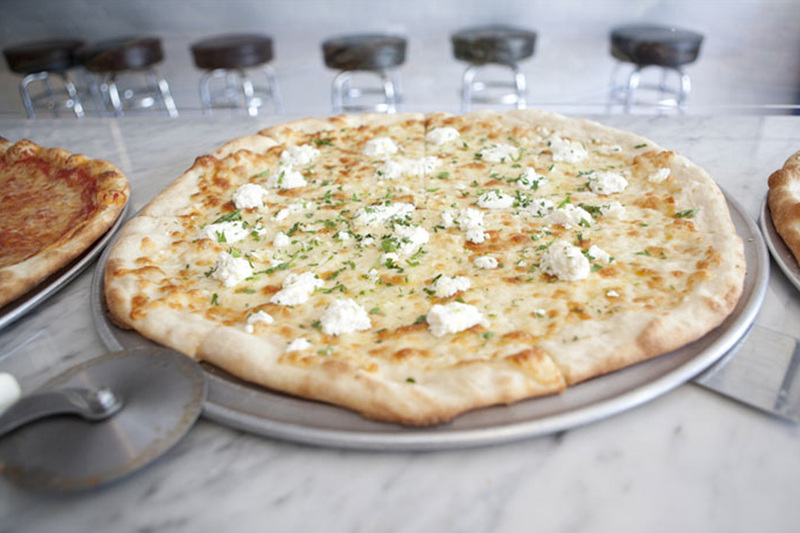 Owner Joe Vitale was born in Sicily and moved to New York in 1978, where he started making pizza a few years later. In 2007, Joe headed out West, where he and his son Joe Jr. opened up shops in Hollywood, West Hollywood and Santa Monica (hours vary by location). The guys’ authentic chops become blatantly clear the second you bite into their thin, idyllically crunchy crust. Snag a signature margarita slice, with its bright, tangy sauce and flavorful mozzarella, for just $3.50. 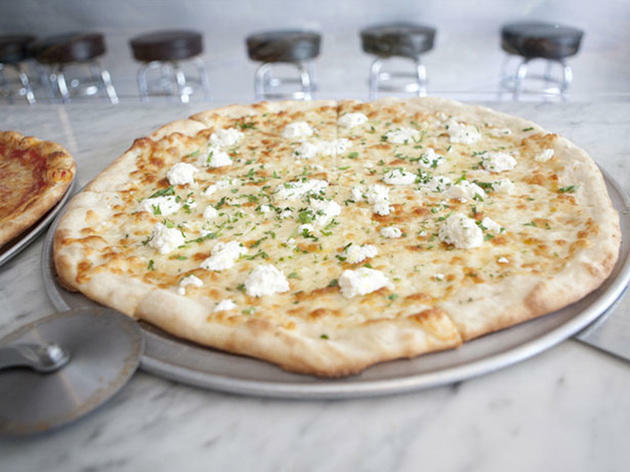 Joe's menu features all your New York favorites, by the pie or the slice, from ricotta-laden white pizza to deep-dish Sicilian. Their Hollywood location is open until 4am Mondays and Thursdays to Saturdays (3am the rest of the week), giving West Coasters a true slice of New York in more ways than one. 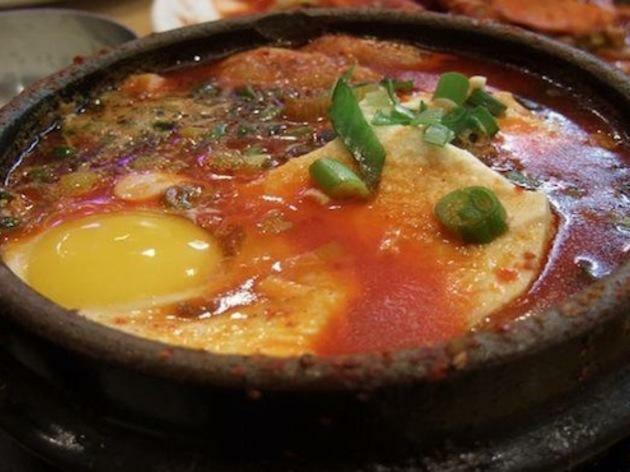 Expect to find LA's hungriest and most nocturnal, spoons in hand, behind the unpretentious doors of Hodori in Koreatown. When the hankering for omelette rice ($7.98) kicks in at some point between nightfall and dawn, you can count on this modest yet authentic joint to be open—though there may be a line out the door on any given Saturday at 4am. 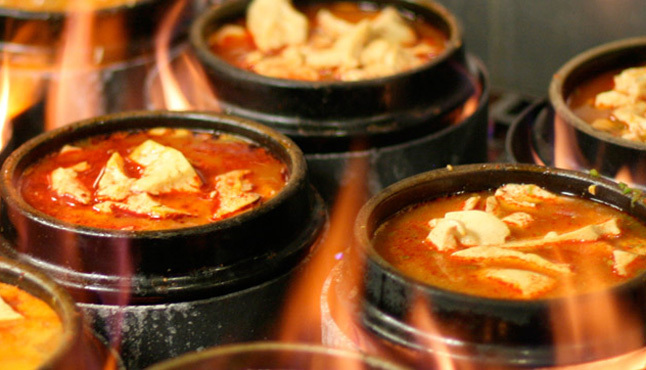 Reasonably priced and unintimidating to even the most famished of drunks, Hodori takes pride in serving traditional, delicious Korean cuisine in a way that suits the global palates of Angelenos. These aren't the cardboard noodles you lazily microwaved in college. 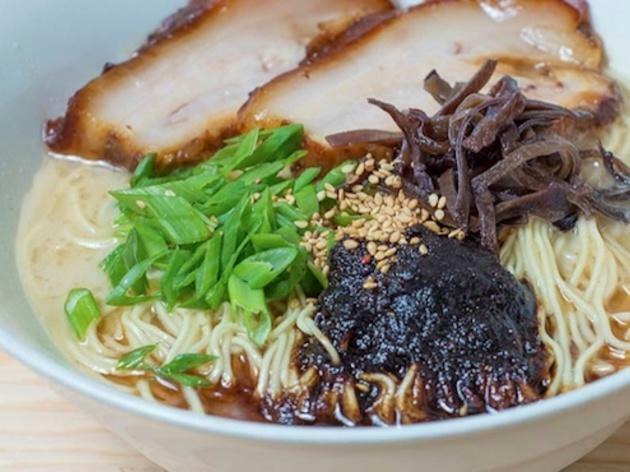 They also aren’t the noodles you've slurped at the ten other ramen joints around town. Young Japanese visionary and entrepreneur Ryu Isobe brings handcrafted, customizable recipes to this unique little nook on Sawtelle. Pop in before 3am on weekends to place your order on one of three iPads secured to a wall up front. (The popular-in-Japan, touch-screen set up can be a total plus when you’re hungry and bleary-eyed at certain wee hours.) 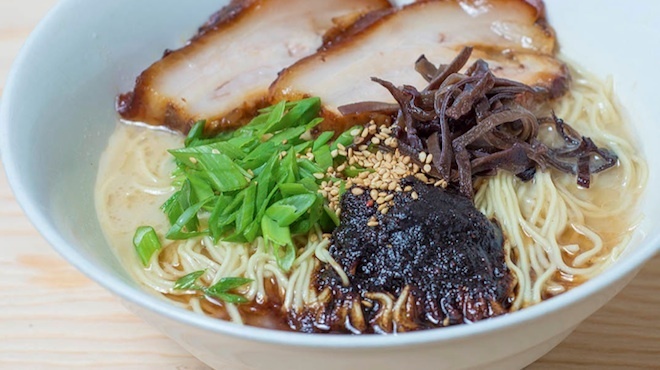 Choose a base ramen bowl—try the Naked Ramen ($9) or the Old Skool pork tonkotsu ($10)—before browsing the screen for add-ins such as pork, tofu, green onions and dried seaweed. Grab yourself a beer, swipe your credit card and within a few minutes, you'll wonder why every late night dining experience can't be so comfortingly anti-social. This 24-hour Eastside staple dishes up the sort of stick-to-your ribs food and kitschy ambience that perfectly suit LA's midnight snacker. Though the chapter book of a menu can verge on haphazard, the whole enchilada is available around the clock—figuratively and literally—and will cure you at your darkest hour. 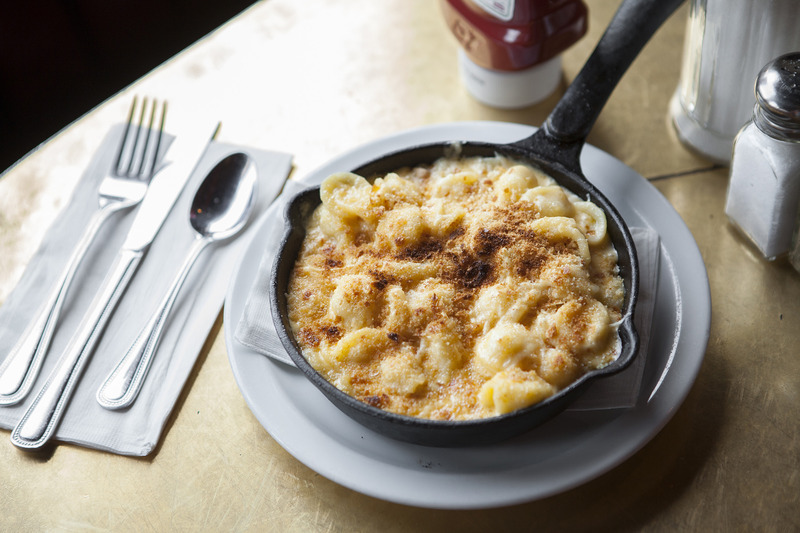 Nighthawks on a budget can take comfort in their breakfast sandos—we like the New Amsterdam ($7.86) sandwiched with scrambled eggs, bacon and hash browns—or the crowd-pleasing mac 'n cheese balls ($7.17) for late-night munchies at its best. Eclectic decor paired with classic diner sustenance and staffers who somehow manage to smile at 5am make Fred 62 your Los Feliz home away from home. 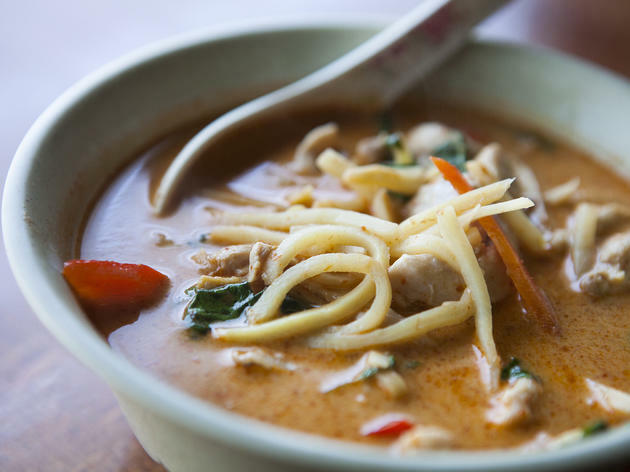 Don't let the unremarkable exterior of this Hollywood hovel deceive you—Ruen Pair’s extensive menu of tasty, authentically prepared Southeast Asian cuisine is Thai Town’s best-kept secret (until now, anyway). 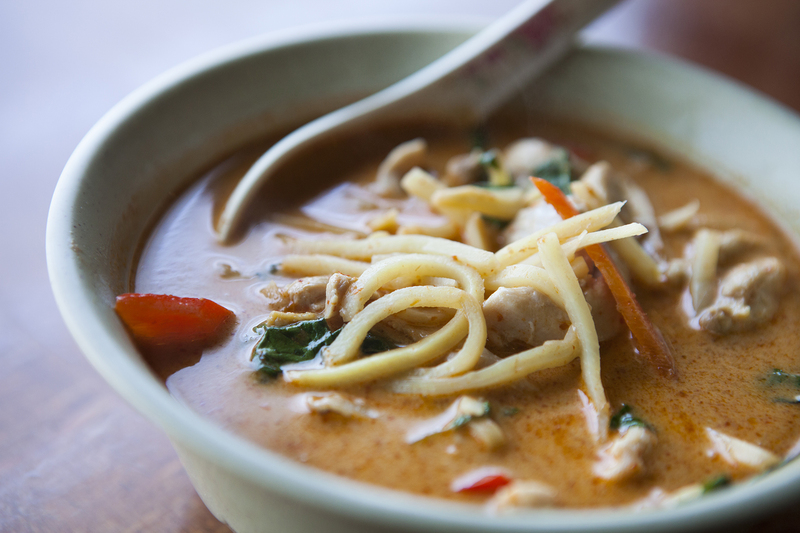 Satisfy your seemingly incurable 3am hankerings with their fresh and delicately textured papaya salad ($6.95), Chinese broccoli with crispy pork ($7.95) or fragrant red curry with chicken, beef ($6.95) or duck ($7.95). Every dish on the 115-item menu costs less than $9.95, making Ruen Pair a lifesaver when you're penniless and starving. Just remember to bring cash and show up before closing at 3:30am. 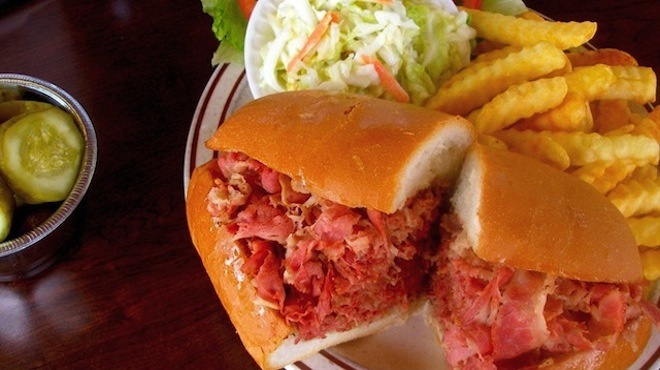 Insomniac Westsiders can find their saving grace at this endearing old school deli, conveniently nestled right off the 405. Until 2:30am on weekdays and 3:30am Friday through Sunday, this Culver City storefront serves up what are arguably the best sandwiches in LA. The juicy charbroiled burgers, basic sandwiches and fries are all under ten bucks, allowing you the hope of returning home with something left in your wallet. 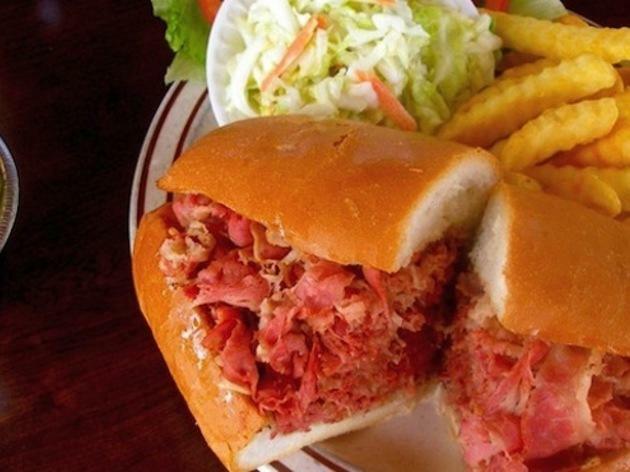 Johnnie's famed hot pastrami will set you back $10.95, but if you’re buzzed enough from swigging all those cans of oatmeal stout at the nearby the Corner Door, it just might seem worth it (no regrets so far). Plus, the place has its own parking lot, which conveniently makes up for its not-so-endearing cash-only policy. This casual canteen is Koreatown’s go-to when it comes to solving your personal late-night famine. 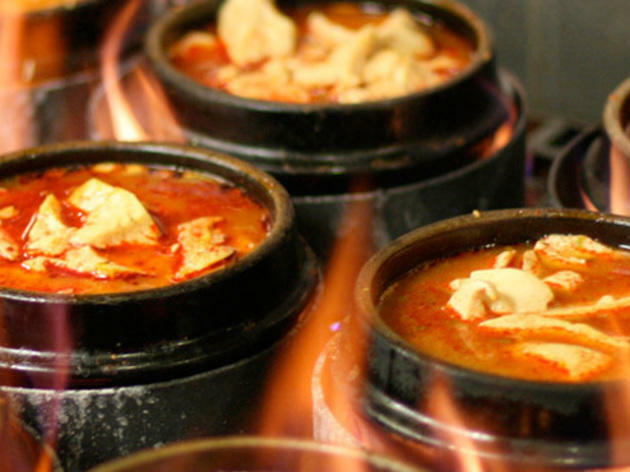 BCD’s main squeeze is soon doobu, which comes in nine different flavors—don’t miss the kimchi with beef—and arrives to your table sizzling in a traditional clay bowl. 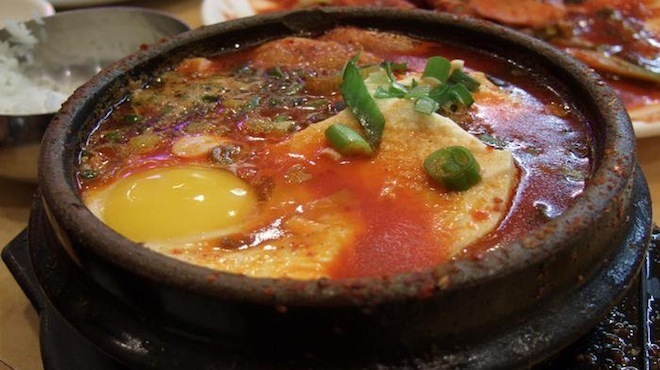 For the $8.99 price tag, you'll find yourself waist-deep in food: One order of Soon Tofu comes with a healthy dose of rice in a hot stone pot, plus an array of tasty side dishes like kimchi and marinated clams. And if all that doesn’t make you explode, BCD also offers a mean menu of Korean barbecue short ribs ($18.99). From the homespun talents of first-generation Korean chef Hee Sook Lee, BCD provides nothing less than an authentic experience 24/7. 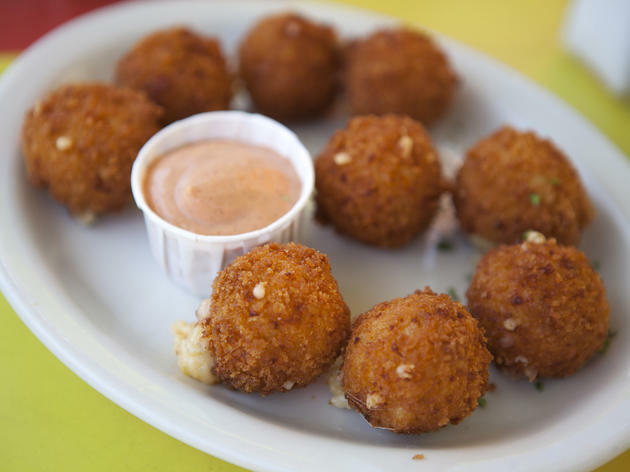 Like so many of Echo Park's worthiest eateries, Brite Spot has a knowing sort of charm. The retro decor, complete with rosewood tufted booths and shiny display cases, matches the menu, which can best be described as classic diner with a SoCal twist. Since Brite Spot is well aware that even the most disciplined of eaters needs an occasional late-night binge, their vegan menu—PETA-approved nachos ($9.75), sweet potato fries ($6.95) and more—does not disappoint. 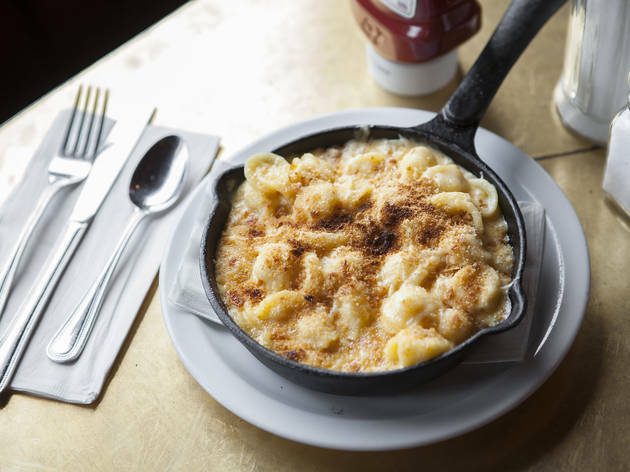 Omnivores can guiltlessly tuck into a bowl of Cheezy Mac ($9.25) or double stack of Belgian waffles ($7)—neither of which anyone with a pulse could deny at 2am. Then, there's always Brite Spot's weekday happy hour, when from 3 to 6pm, half a dozen of their most popular menu items become $6 each.